What Do Egyptians Call Their Dictator! 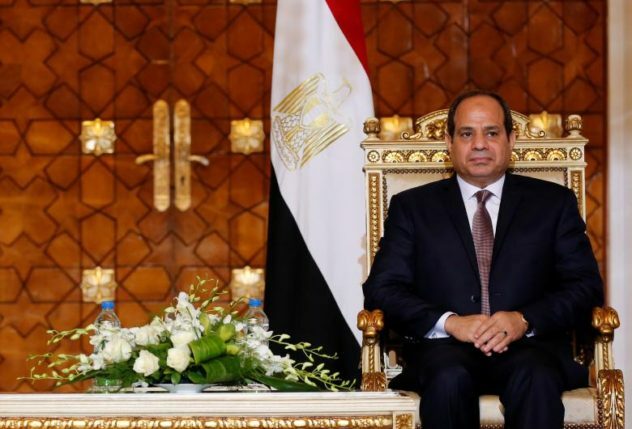 Egyptian President Abdel Fattah elSisi is coming to visit the US first week of April, No, this is not an April Fool’s but it is the meeting of fools. 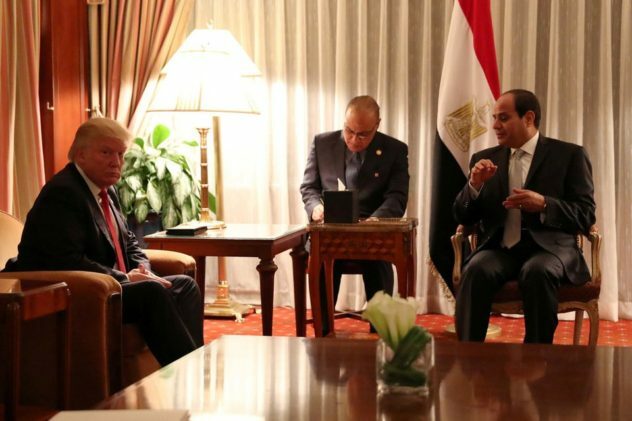 The visit is the first official state visit for the Egyptian general at the invitation of president Trump, reported the Egyptian Al-Ahram newspaper. Trump seems to be fascinated with strong leaders like Putin and other dictators in the Middle East. To understand General elSisi, Mr. Trump who knows the importance of names, (the man puts his name on anything and anywhere;) needs to understand what names Egyptian put on their dictator. In fact people living under dictatorial regimes have no political choices, and can’t exercise freedom of expression, where change is hard to come by, Arab regimes are like catholic marriage, you live with it, until death do you apart. When people tried to change their regimes in Arab Spring and it turned out ugly. Therefore, Egyptians if they can’t change their dictators, the least Egyptians can do is change the dedicators names. Names are giving to us at birth to legitimize our existence, but they can also be giving later in life to challenge out existence. The same is true with dictators. Nasser was just called the “Leader” on a good day and the “Catastrophe” on a bad day, Sadat went from Mr. “Yes” to the faithful leader, then became the Traitor. Mubarak was called “La vache qui rit,” the laughing cow, a famous brand of French cheese in Egypt. Time for Arab Dictators to look for a second career!! Time for Arab Dictators to find a second career! 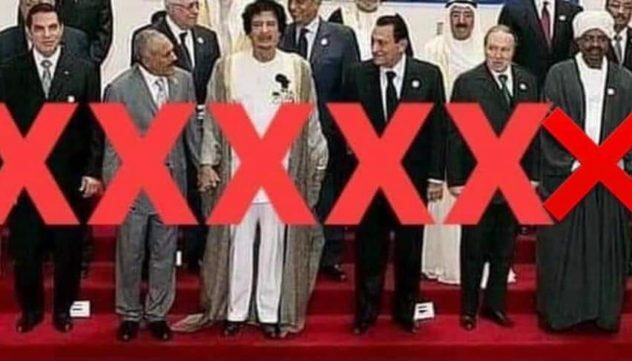 !The Arab Spring in eight years forced six Arab dictators prematurely from their jobs, Bouteflika of Algeria and Al Bashir of Sudan in just one month. Arab Dictators have a heck of a time handling their imposed early retirements, too much time and nothing to do. In a democratic world, leaders usually get a job review after a few years if qualify they stay another term or two, then once they leave office, they have to explore their options and develop different skills. Some, like President black Obama running around preaching effective ways to cope with whites establishments, Carter, go into humanitarian work to do all the things they couldn’t do while in office. Others, like Clinton, go on a talking circuit to recoup all the money they spent on litigation while in office. Others go back to the private sector as lobbyists or consultants to make hard-earned government experience available for a price. The song for the British band “The Cure” was inspired by Albert Camus’s novel “The Stranger” published 1946,sold millions an it caused a lot of controversy because of its title. ”Killing an Arab. However in Camus’s novel, he was dealing with existentialism, and the title “killing An Arab” was taken to reflect emptiness of life after killing a man on an Algerian beach. This how millions around the world felt after they first saw the photo of the Syrian 3 year old boy Aylan’s lifeless tiny body, washed up on the Turkish beach, his red T-shirt, blue shorts with his small shoes still intake on his tiny feet and his face down rested on the sand. Camus’s book tells the story of senseless killing of an Arab on Algerian beach. It explored what he termed “the nakedness of man faced with the absurd. Now, ” We all that man, we all guilty in the killing of this young boy found on the Turkish beach, his photo explored our nakedness and emptiness in our lives. This single image has captured our attention and kept millions of people very busy on social media and TV networks. The photo of Aylan has stirred public outrage and embarrassed political leaders as far away as Canada; there, the authorities had rejected an asylum application from the boy’s family, humanity was dead on arrival at the landscape of our ambivalence. The photo was like a drop of pain constantly knocking on the roof of our conscious. These are, of course, not the first photos of suffering to carry this kind of gripping emotive outrage. One thinks of Nick Ut’s image from 1972 of a naked nine-year-old girl fleeing from an American napalm attack on her village in Vietnam. On my last visit to Egypt, as I landed at the airport I noticed that Egypt has changed. Security were screaming the names of VIPs or travellers who have connections. I went through the check out. “Do you have anything in these bags,” asked the airport security? “Not really a few gifts and my underwear,” I joked. Go ahead, he ushered me through the gate with a smile. This was the last smile I saw in Egypt throughout my trip. 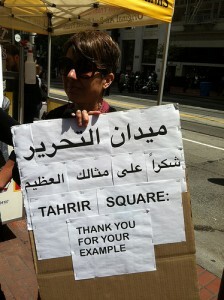 I asked the taxi driver to take me to Tahrir Square. “For what sir? 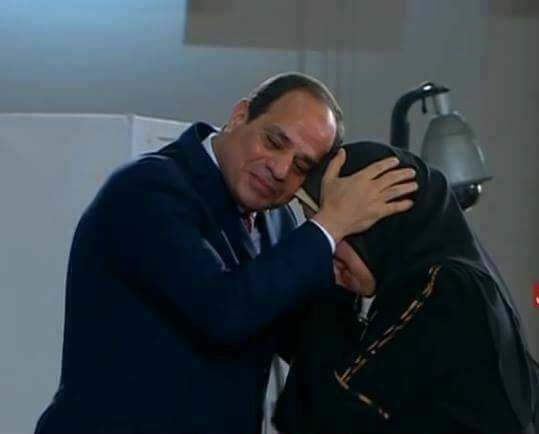 Nobody goes to Tahrir Square anymore, only Al-Sisi supporters,” he whispered. Take me there anyway, I requested. I wanted to see the place where the revolution started, where the Egyptian popular uprising that erupted on 25 January resulted in the birth of a nation. The place where millions of Egyptians found out that Egypt is their own country and not Mubarak’s and his family’s.